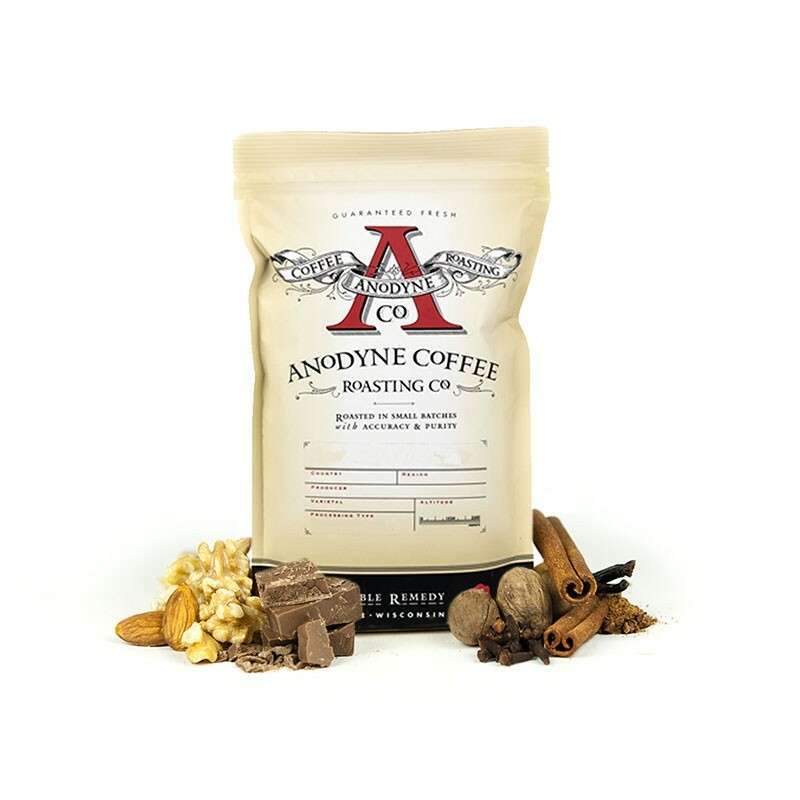 This is the Nicaragua Limoncillo Estate brought to you by Anodyne Coffee Roasting Co. This fully washed coffee was grown by the Limoncillo Estate in the Matagalpa region of Nicaragua between 850 - 1,150 meters above sea level. We love this coffee for its nuanced notes of salted caramel, almonds and herbal finish with a rich overall quality. I liked this coffee a lot - it is well balanced and very smooth. The flavors are very nice for this coffee but they are more subtle. I eventually started to use more beans per cup to make a stronger tasting brew which helped.